The Democratic Alliance is in favour of the acknowledgement of the Khoi and the San people, as people that has been largely ignored by the government to date. The Democratic Alliance will not support the Bill in its current form due to various short-comings. Honourable speaker, honourable premier, honourable members and guests, good afternoon. It must be noted from the onset that the Democratic Alliance is in favour of the acknowledgement of the Khoi and the San people, as people that have been largely ignored by the government to date. The Bill for the first time recognizes the Khoisan people, and their leaders, and brings them into the broader fold of traditional leaders as identified in chapter 12 of the Constitution. What is of concern is the double standards imposed by the bill, requiring the Khoi and the San people to have to declare their affiliation, while traditional affiliations will be determined by geographic location, along the same boundaries of the old Apartheid Bantusan lines. The Bill discriminates between so-called “traditional” leaders and communities, and the Khoisan leaders and communities, by enforcing different recognition criteria. The geographical enforcement of traditional affiliations is unconstitutional and stands to further complicate already problematic land restitution. There has been no costing exercise done to determine what the implementation of the bill, and the subsequent recognition of the various traditional leaders, will cost. 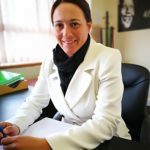 Government has been criticised for using the Bill to side-step its failure to transform traditional institutions through the Commission on Traditional Leadership Disputes and Claims (Nhlapo Commission) and the traditional council elections. The Bill has also been criticised for unconstitutionally providing for the discretionary allocation of governmental functions in the form of unclear ‘roles’ to traditional structures. This, in effect, could create a fourth tier of government. Government has failed to do enough to address the shortcomings. After 18 years we still have illegitimate traditional councils. The Bill bases traditional leaders’ authority on territory, rather than on people. The implication is that everyone within the former Bantustans is subject to a traditional leader as per the apartheid laws. The Bill goes so far as to specify that in order for a traditional community to gain recognition, it must first have a senior traditional leader. Traditional leaders are put at the centre of a traditional community’s customary law identity. The Bill’s assumption is therefore that traditional leaders create traditional communities, contrary to customary law which states that traditional leaders exist because of traditional communities. It therefore undermines the right to own property for individuals, families, kin groups, as well as communal property associations that have regained land rights under the land restitution programme. There has been a lot said about the failings of public participation processes. Meetings were scheduled and changed at the last minute, with the information difficult to access. The venue line-up did not favour traditional communities participating in the consultation process. In Graaff Reinet a promise was made to transport people from other areas to the venue, this was never done. Most notably, the rights granted to traditional leaders to enter into agreements is of concern. Mine-hosting communities are especially critical as it allows for traditional councils to enter into deals with companies, municipalities and “any other person, body or institution” without consulting the community. These communities are already experiencing challenges with unaccountable traditional leaders who exclude communities from the benefits accruing from mining on communal land. Disputes over mineral rights are already under way in Xolobeni and elsewhere, and will be difficult to take to court if communities are stripped of their legal rights over land use. While there have been attempts by the Bill to improve accountability, such as the need for audited financials, or at the very least that the Auditor General reviews their financials, but there is very little in terms of penalties for lack of compliance. The Bill makes no provision for the people living on this land to influence the shape of the deals made on their behalf. The Question is: Why are “partnerships” introduced so significantly now, when the entitlement of traditional councils to enter into partnerships with a broad range of institutions was not an issue in past government reports, policy or bills? There is an urgent need to introduce clear steps to ensure that rural people are included in the negotiation of partnerships and that they share in profits deriving from their lands. Honourable Speaker, this Bill was an opportunity to radically redress the imbalance of power between traditional communities and their leaders. It was a chance to ensure that the communities were the rightful beneficiaries of communal property. It was the opening needed to ensure proper rural democracy and economic development. It does little to remedy the many issues affecting traditional councils – to the extent that 14 years after the Traditional Leadership Framework Act was first passed, many traditional councils have still not been established, and where they have, many are illegal and fail to meet the criteria. This Bill fails in even its most basic objective, namely to provide representation for Khoisan communities, as they have, to a large extent, rejected it. Let me reiterate that the DA recognises Khoi and San leadership and communities in South Africa. We are in favour of the bill in principal, but cannot support it in its current form for the reasons outlined above and the fact that it does not do justice to the Khoi and San people and fundamentally turns them into second rate leaders compared to their counterparts. The DA in the Eastern Cape is committed to ensuring that the Traditional and Khoi-San Leadership Bill is concluded fairly and with due regard to the Constitution of South Africa. We remain the only political party which advances fairness, equality and justice within the domain of traditional leadership in South Africa. ‹ What does the Department of Health have to hide?